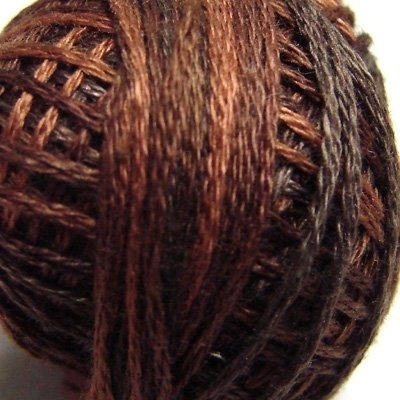 Valdani 3-ply cotton embroidery floss in colour Chocolate Brownies (M90). Colour #M90 - 29 yards. Perfect for punchneedle.